Jane, the coolest Irish girl ever, was my Waxologist for the evening. She was very approachable, so thorough, and totally skilled at her craft. I went for a modest wax and was impressed by the professional, no-nonsense feel at the salon. The wax itself wasn't too hot and the whole thing took around 20 minutes. She used multiple types of wax depending on hair thickness and length. Smooth's imported luxury waxes from Australia are specially made to reduce the ouch. Our hard wax is made of all natural bees wax and is infused with the highest quality polymers. Our wax also contains titanium dioxide and Micro Mia for superior skin protection. We carry a second hard wax (yes, we carry TWO hard waxes!) that we call our Superhero wax as it can remove even the most stubborn hairs as short as 1mm. Our Waxologist team is specially trained in the latest techniques to virtually eliminate discomfort. They are true masters of their craft and absolute clean freaks....no double dipping here! 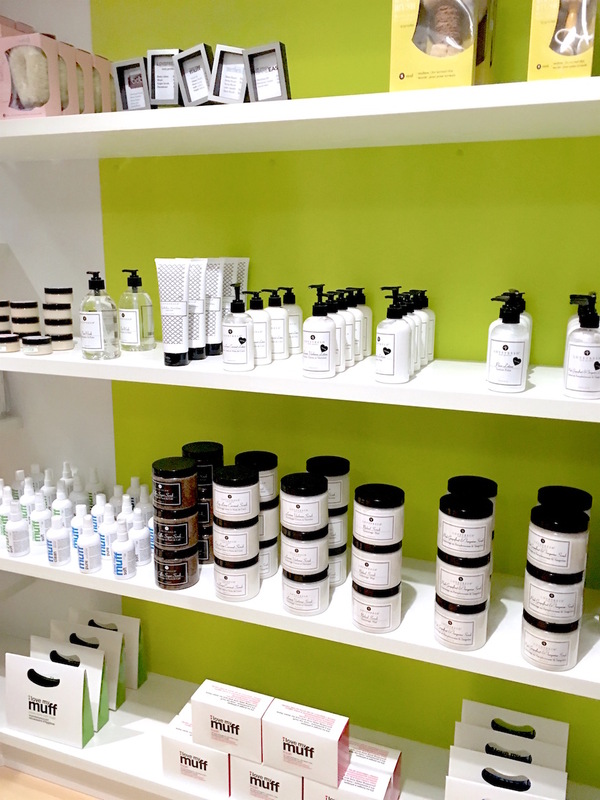 The best part about Smooth's product range is that they carry mostly Canadian brands, and many of them are owned by female entrepreneurs. I picked up some products after my appointment, and got a few to try out for free. There's nothing like some taboo-free feminine hygiene brands that make cleansing products so fun. I got two sets of cleansers, body wipes and moisturizers from the cheeky brand "I Love My Muff" and a sugar scrub and body lotion from the Toronto-based brand Love Fresh. I am already obsessed with the fresh pear scent - I have to stop myself from eating them. Smooth's a la carte pricing won't make you raise your well-groomed eyebrow. 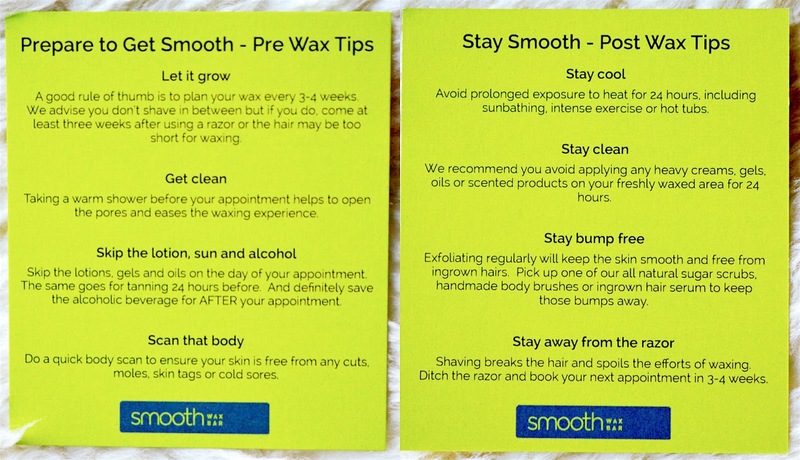 Our Smoothaholic Membership gives you 20% off any service and is perfect for those who are hooked on staying smooth all year round. Smooth Bar Tabs are ideal for clients who want savings but need flexibility. Prepay for 6 services and get the 7th free! Smooth has created a promo code for you to receive 25% off services until April 2016. Just enter "classically" when booking online. Though I do live uptown and I won't be getting back to Smooth on a monthly basis right now, I think that it's a wonderful wax bar suited with very talented and professional staff. I'd highly recommend visiting their salon, even if it's only to test out some beautiful local skincare brands. Loved the recap! I was also seriously impressed with how professional and efficient they were. For a first timer, I was definitely glad they made me feel at home! I tried to use the code classically but it says not a valid special code. Any thoughts?